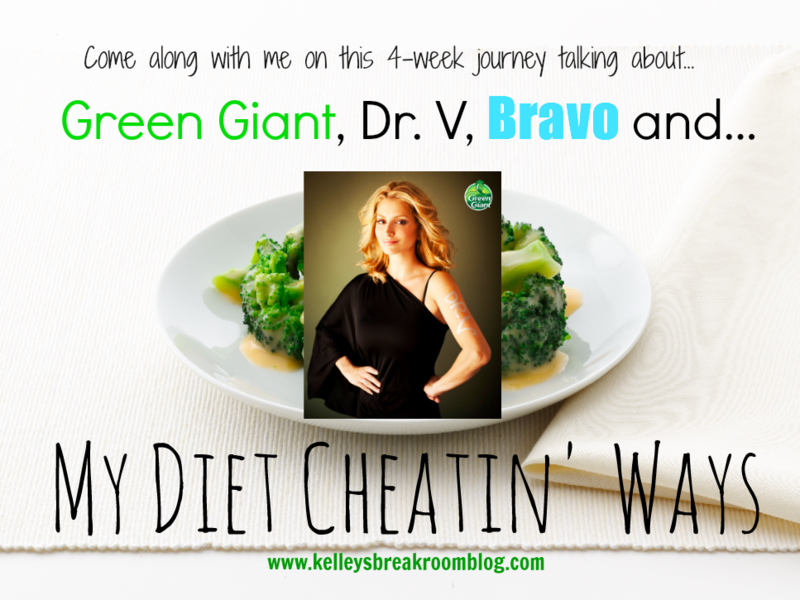 Thanks to Green Giant for sponsoring this post and for the opportunity to work with Dr. V! Which one of the below starts with the letter “X” as in the word “Xavier” in the sentence “Xavier is excited about playing xylophones”? The thing is, all four of these words do have much in common, or at least they will for the next four weeks. You see, I am partnering up with Green Giant, as well as Bravo again (remember my Top Chef Seattle days? ), to talk to you about my diet cheating ways. Dr. Venus Nicolino, or “Dr. V”, of L.A. Shrinks, a popular Bravo show, will be providing feedback to me so that I can stop being such a lowdown cheater and reverse my dishonest ways. The hope is that this will help you, too. Here she is actually talking about it. Sharp-tongued with a mind to match, Dr. Venus Nicolino (a.k.a, “Dr. V”) certainly serves up the sass, but when it comes to her clients, Dr. V’s code is one of genuine kindness and recognition in the transformative powers of empathy. Using her compassionate understanding of the human condition with an occasional dash of profanity, she tackles the obstacles and joys that make up life. A blue-collar girl at heart, Dr. V now resides in Bel Air with her husband Matthew, their two sons, ages 3 and 5, and their two nephews, ages 5 and 7, who are now under their permanent guardianship. Now, can I give you another quiz? Which word below do I not like to say, like, ever? Did you get that one right? Yeah, I don’t like the word “VEGGIES”. I don’t like most nicknames. I don’t like the word “KIDDOS”. I don’t like the word “HUBBY”. I just don’t. Icky. I just say the whole word and, from what I can tell, this has not resulted in me having less time for anything productive. I have not saved just years and years of my life by taking the short cut and calling vegetables “veggies”. You can say it, though. Just say it really, really quietly. Actually, when you say it, can you turn your head the other way? I’m a good lip reader, so whispering is not going to help much. I don’t think Dr. V is going to make me embrace the word “veggies”, but she may help me want to love on a few more vegetables throughout the day. I actually really like vegetables and eat plenty of salads (and fried zucchini), but I know that I can always eat more vegetables. I typically think of vegetables other than raw ones (carrots, celery, cucumbers, etc.) as the two sidekicks of my main dish at dinner time. This experience with Green Giant and Dr. V has already made me want to snack on vegetables more. What vegetables could I eat at lunch time? Why do I just reserve my vegetables for the night shift? What did those vegetables do to deserve that, you know, especially the Green Giant ones? In the past, my go-to vegetables in the produce aisle have been fresh tomatoes, cucumbers, asparagus, onions, bell peppers, spinach, lettuce, squash and zucchini. If I am really energetic and on track with my schedule that week, I can usually cook or prepare all of those things before they go bad. 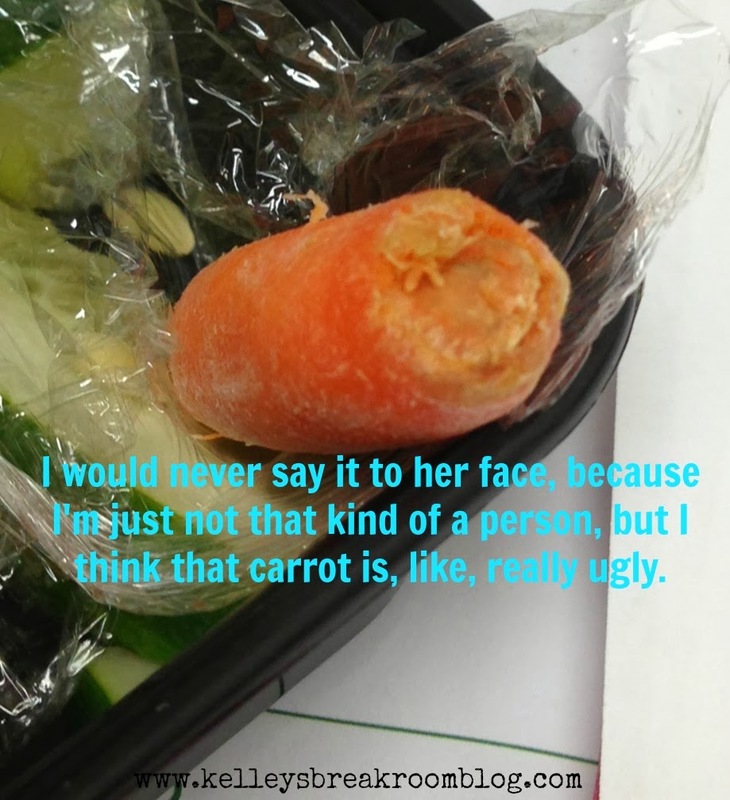 And when I don’t my husband will sometimes find the most molded vegetable in the refrigerator that I have failed to notice and stick it in a plastic bowl so that he can show it to me. What I need to do is less watching-my-vegetables-spoil and more buying-Green-Giant-frozen-vegetables-so-that-they-don’t-spoil stuff. I need to partake in some Green Giant is what I need to do. Green Giant is where it’s at, you know what I mean? *The vegetables were not placed in cans by giants. *No one that works there is over 8 feet tall. *There is no one walking around that shade of green. When I go to the store this week, I am going to buy the ingredients to make these great vegetable snacks or lunches that I found on the Green Giant website. On our little journey, you will learn more about Green Giant, more about Dr. V and more about how NOT to cheat on your diets. That is really the whole point of this endeavor: to increase your desire to eat more (Green Giant!) vegetables and quit being a filthy, low-down diet cheater. No one likes a diet wrecker, my friends. NO ONE. Stay true. Stay loyal. Do right by your vegetables. I don’t always do right by those vegetables. The poor things. You see, although I have come a long way over the last six weeks (you can read about my fitness journey and my six week update, along with a giveaway opportunity, here), I’m still a diet cheater. I firmly believe it’s all about finding balance, but sometimes my balance gets way out of whack. *I order a healthy meal, such as a salad, while my sons get chicken nuggets or some other kind of kid-fare that I shouldn’t really feed to them. I sneak the kid-fare. I sneak the nuggets. Oh, yes, I do. *I play the whole “I’m just going to eat half of it”. That other half doesn’t know what hit him. It’s down the yapper before you’ve blinked twice. I must discard of the other half if I don’t plan to eat it. Discard it or put it on a table far, far, far away from me. *I tell myself that what I eat in secret has no calories. My favorite “diet cheat” has to belong to my mother-in-law, though. Just about every morning, she eats a piece of toast and an egg. On Fridays at her job, someone brings in donut holes. She tells herself that if she skips the toast that morning and eats a few donut holes instead, she’s made an even trade. I love, love that one. She’s switching the carbs out, is all she’s doing. Do you have any diet cheatin’ ways? WE WOULD LOVE TO HEAR ALL ABOUT THEM!